Do you want your kitchen to look classic or contemporary? We have come to the conclusion that all kitchen styles fall into these two categories: classic kitchen or contemporary kitchen remodeling. Within each category are innumerable sub-categories. For instance, a classic kitchen can encompass cottage, Tuscan and Provencal styles. But they are all classic kitchen remodels. Classic kitchen remodel : Warm; natural materials; emphasizing aesthetic over practical. Contemporary kitchen remodel : Sleek; hard materials like steel; emphasizing the practical. 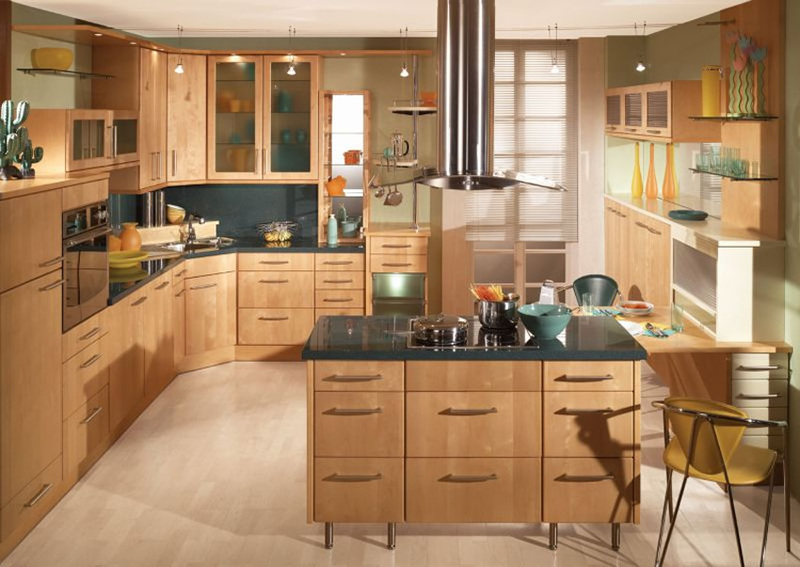 Unless planning on a whole-house remodel, you should base your kitchen remodeling style around that of the entire house. Kitchen space design is based as much on common sense as it is on building, plumbing and electrical codes. For instance, the kitchen workflow triangle (which dictates that the fridge, stove, and sink be placed in a triangular fashion) should be no more than 26 feet, all legs added together. No leg should be more than 9 feet and no leg less than 4 feet for a kitchen remodel. This guideline ensures that cooks aren’t running across wide expanses with boiling pots or bumping into service areas placed too closely together. Many Florida families spend more waking hours in the kitchen than any other room in the home, so it needs to be both attractive and functional. The challenge of designing a kitchen is identifying what each home wants in terms of functionality, placing appliances and spaces where they can be intuitively found, and keeping the space neat and attractive. All of these things can be achieved with good design.